Any Closer to the Ocean and You'll Be Swimming in It! 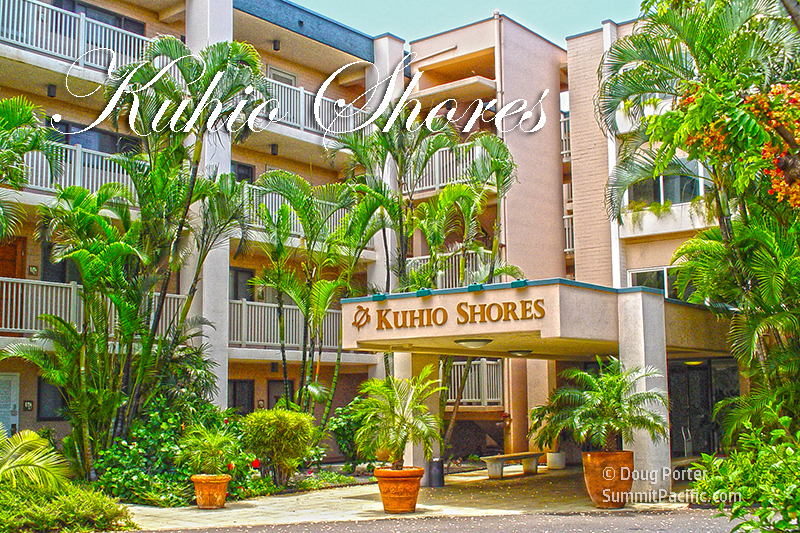 Kuhio Shores is an ocean front 4 story condominium complex on Kauai's south shore near Poipu Beach. 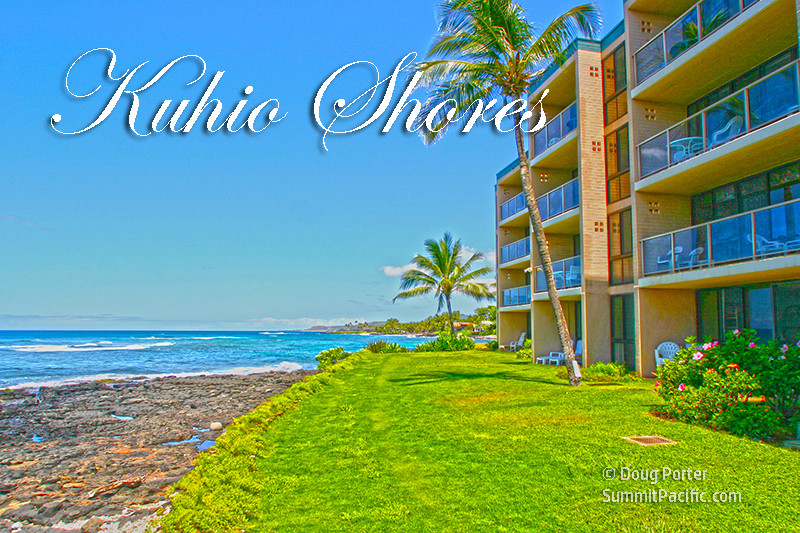 Built just a few feet from an ocean sea wall, Kuhio Shores condos may be the closest condos to the ocean in Kauai. Situated on a promontory, the building is protected from wave action by a reef just offshore, making it ideal for wave, turtle, and whale watching. 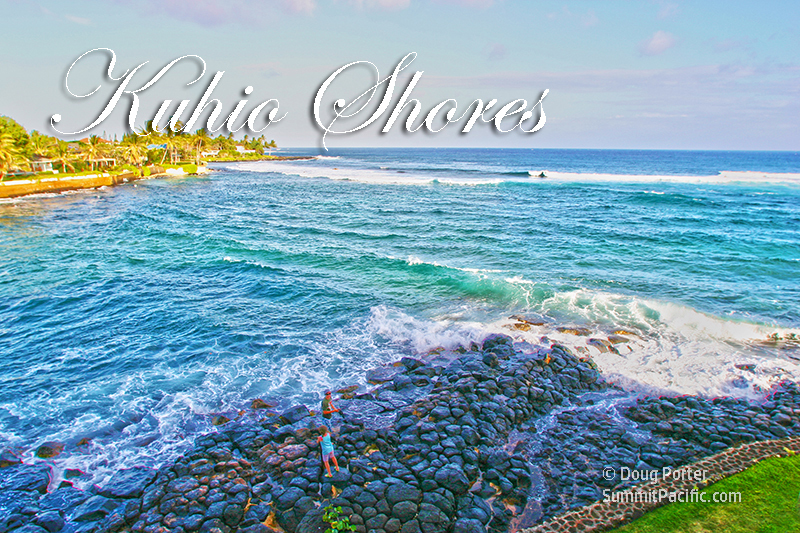 The ocean just below the condos provides some of the best snorkeling on the island and beyond the reef are two popular surf breaks: PKs and Acid Drops. 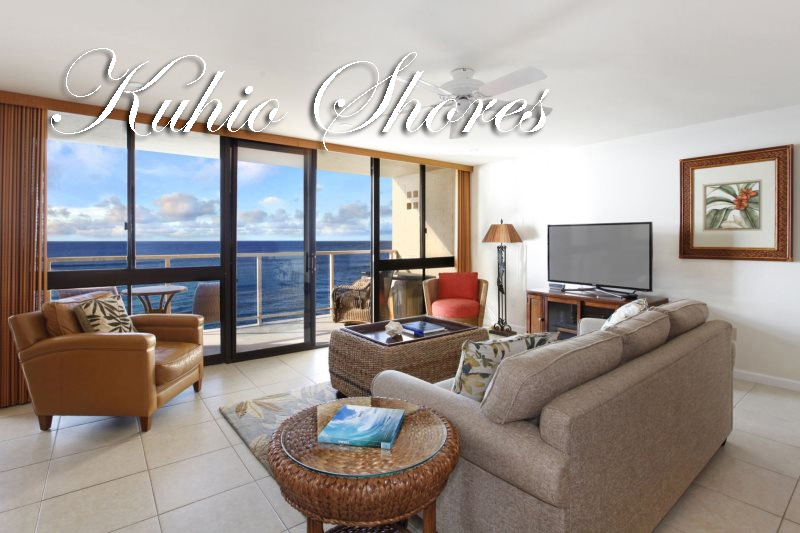 Because of its location just a few feet from the blue Pacific Ocean, Kuhio Shores' 1 and 2 bedroom condos enjoy front-row ocean views... not just from each unit's private lanai, but also from inside the condos. 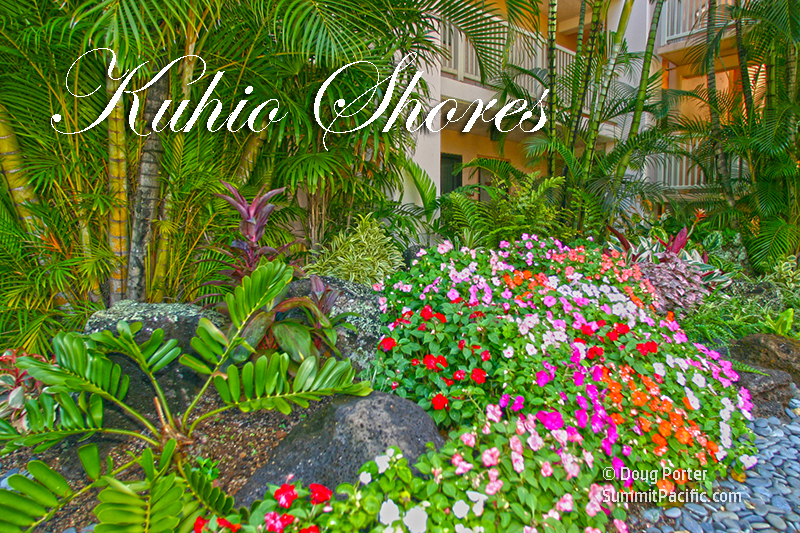 From every unit, you can watch the ocean waves and listen to the relaxing sounds and rhythms of the Pacific all day and all night. 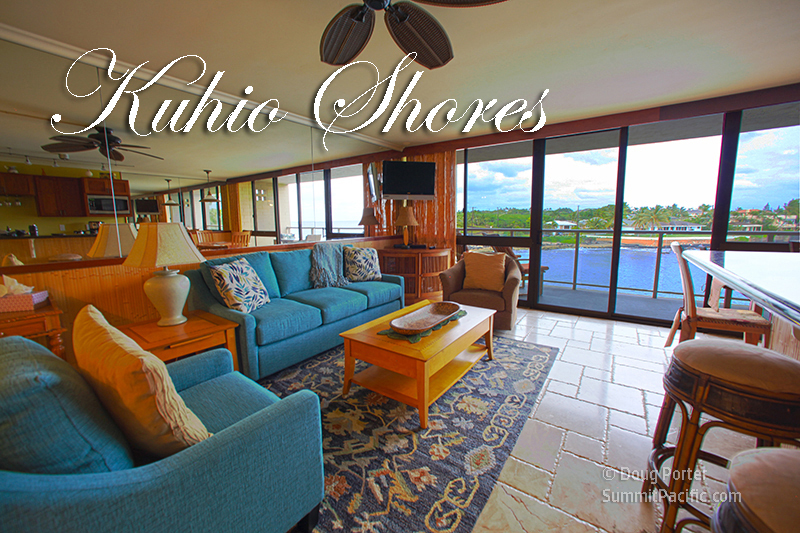 Each condo at Kuhio Shores has a living room, full-size kitchen, dining area, oceanfront patio or balcony lanai, and either 1 or 2 bedrooms and bathrooms. The units are comfortable in size and individually decorated. 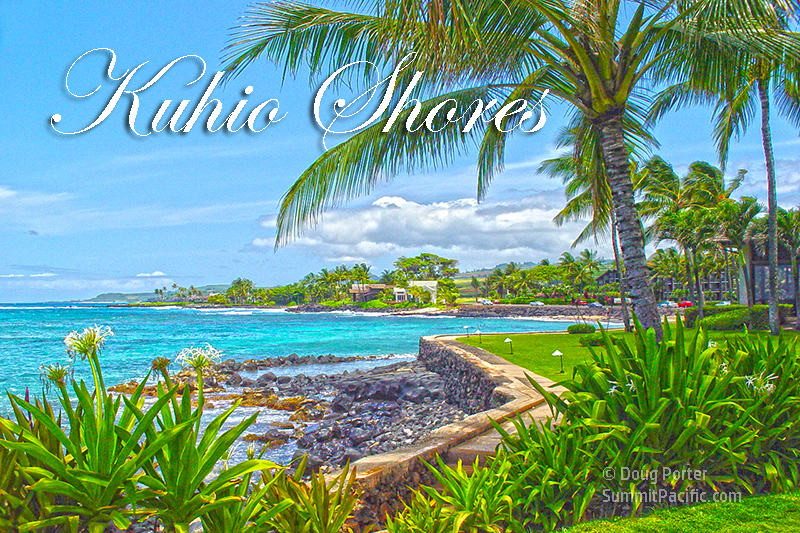 They make great vacation rentals or longer term rentals. A free parking space is available for each unit. 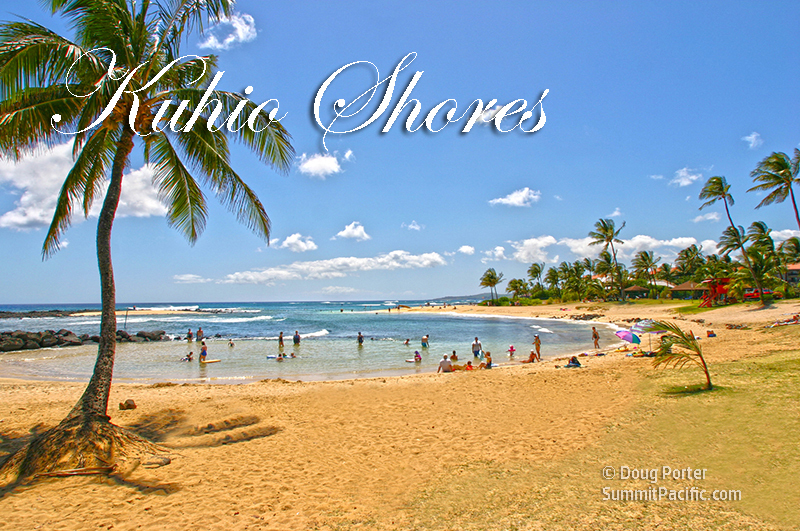 The south shore of Kauai is known for its sunny dry climate and Kuhio Shores is an island favorite for sunshine and beach fun. 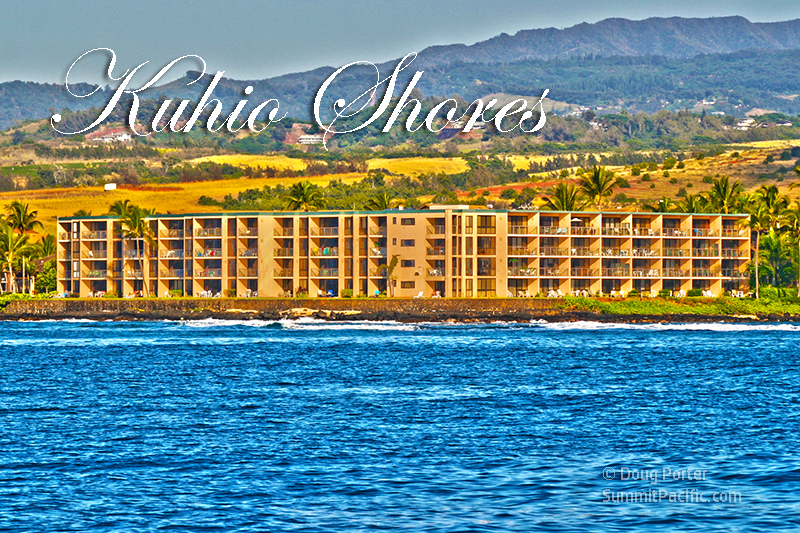 A sandy beach lies on each side of the building and world famous Poipu Beach is just a short drive away. 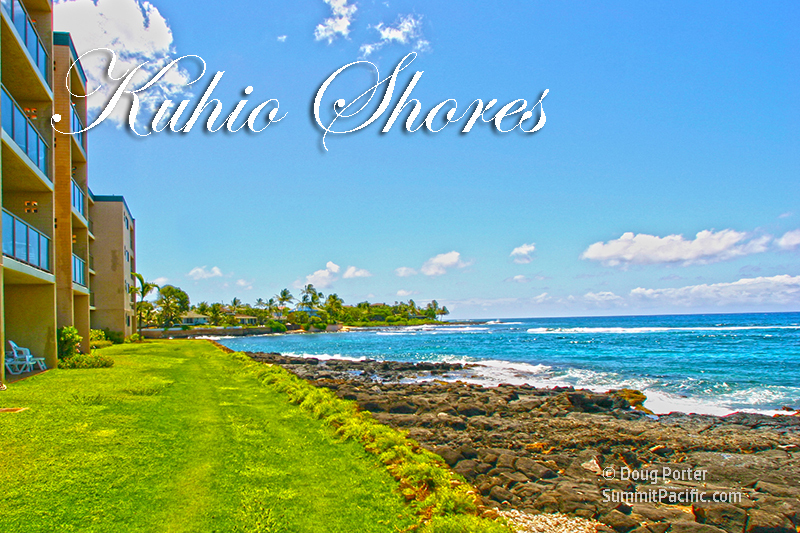 Golfing, shopping, and dozens of restaurants and points of interest are also nearby. 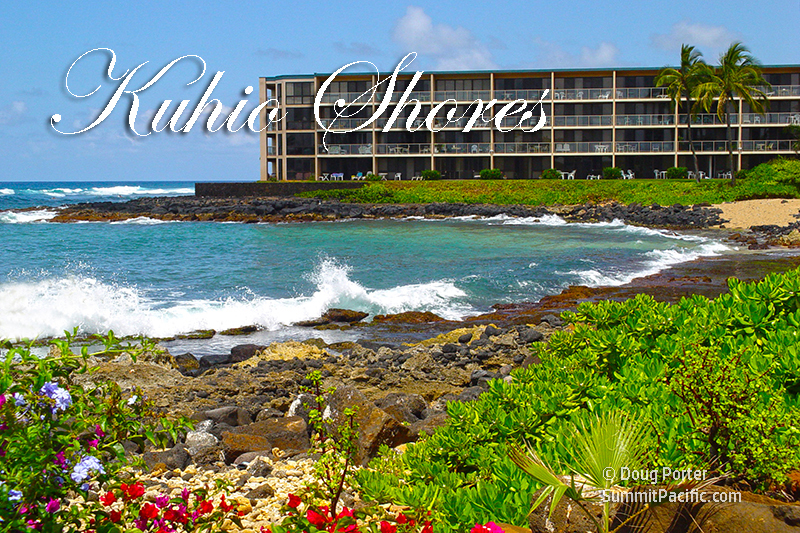 The Beach House Restaurant is right next door to Kuhio Shores and has breathtaking views of the ocean from most tables. 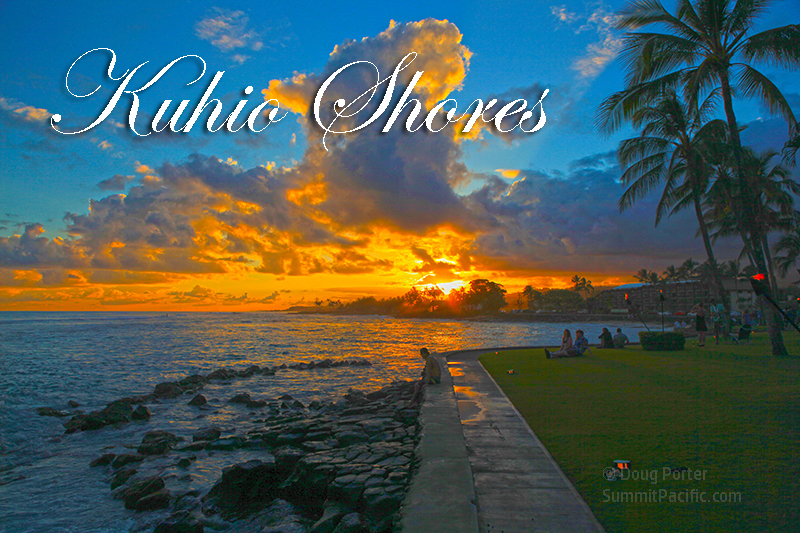 Enjoy this popular Poipu restaurant for early cocktails and sunset dinners. 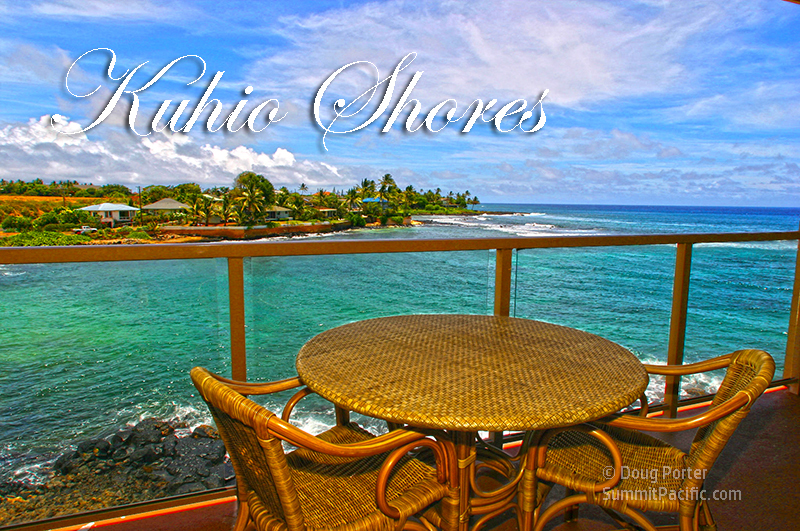 Kuhio Shores is ideal for romantic Kauai honeymoons, holiday getaways, and seasonal oceanfront rentals. This website features a great selection of owner-direct rentals at discounted prices. Here you can check the availability, rental rate, and pictures of each condo before contacting the owner or manager to make your reservation. Second Floor ~ Oceanfront View ~ A/C! Third Floor ~ Oceanfront View ~ A/C! Top Floor ~ Oceanfront View ~ A/C! Third Floor - Oceanfront View ~ A/C! Top Floor - Oceanfront View ~ A/C!